I’m also listening to Brother, I’m Dying by Edwidge Danticat. It’s very good! What are you reading this week? I hope it’s great! This entry was posted in books and tagged Edwidge Danticat, Toni Morrison, weekly reads. Bookmark the permalink. Beloved is an amazing read! It is. It’s so complicated that it’s not going to be a quick read for me! 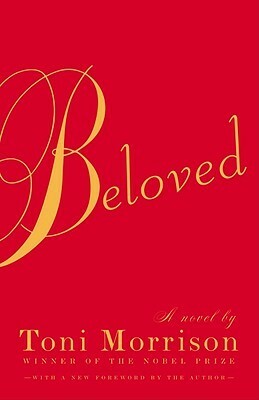 I’ve always wanted to read Beloved. Maybe this year? Here’s my It’s Monday post! I think you should. I’ve enjoyed it so far! Did you enjoy The Wind-Up Bird Chronicle? I started 1Q84 by the same author but I couldn’t really get in to it, I’m not sure if it was the author or the book though. I really liked Wind-Up Bird. It was such an odd (big) book. It’s too bad you couldn’t get into 1Q84. I plan to read most of his books eventually.